A rejacketed edition of this classic puzzle book. 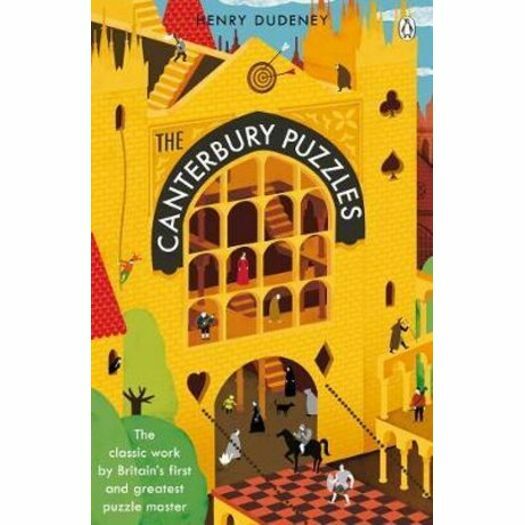 First published in 1907, Dudeney's The Canterbury Puzzles is a classic of the genre, based on characters from Chaucer's Tales. The book contains 114 puzzles suitable for young enthusiasts, recreational mathematicians and veteran puzzlers alike. As challenging today as it was over a century ago, this ingenious book will provide hours-worth of puzzles to keep your brain alert. Henry Ernest Dudeney (1857 - 1930) was an English author and mathematician who specialised in logic and mathematical games. He is known as one of the country's foremost puzzle-makers.